On this podcast, I talk a lot about growing food in small-medium sized spaces. But what about when you have NO space at all? Well if you live in a city or suburb, one option is to join a community garden. There are so many benefits! Oh Sure, you get a space to grow food. You also gain knowledge, friendships, fun activities and a sense of community that just can’t be found anywhere else. 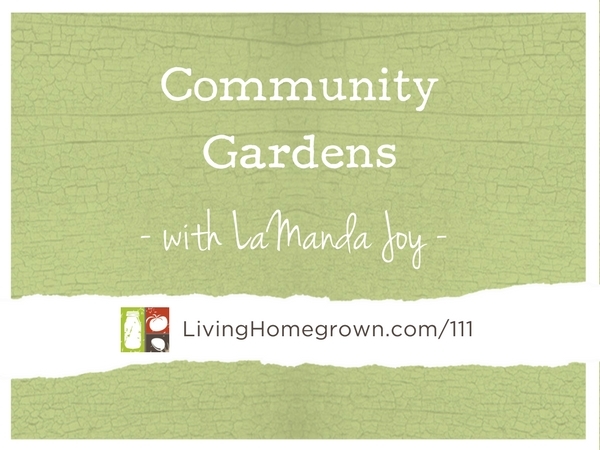 In today’s podcast, I bring on LaManda Joy who is doing some incredible things with community gardens in the Chicago area. Not only will you learn how community gardening works, but I think you will be very inspired by her story. She’s is pretty incredible person. LaManda Joy wants to inspire everyone she meets to grow their own food… seriously. Everyone. She. Meets. And that’s a good thing! Because she has sparked the gardening gene in more people than you can count. 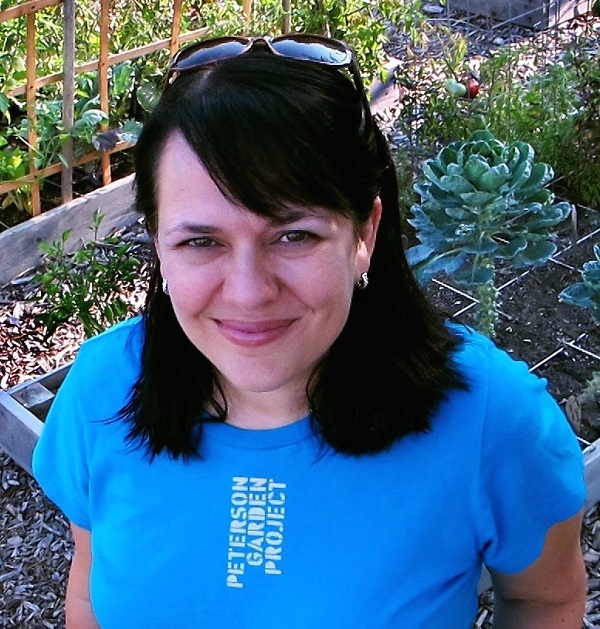 She is an author, national speaker, award-winning Illinois Extension Master Gardener and considered the “Best Urban Farmer in Chicago.” Inspired by the massive WW2 Victory Garden movement she founded the Peterson Garden Project in 2010. She has collaborated on Fearless Food Gardening in Chicagoland: A Month-by-month Guide for Beginners (2013) andStart a Community Food Garden: The Essential Handbook (2015). LaManda has served on the board of the American Community Gardening Association, spoken at the Library of Congress, national conferences, garden shows, festivals, libraries and appeared on PBS and other media outlets and was featured in the documentary Food Patriots… Her rallying cry “We can grow it!” recognizes the influence of the past while invigorating the American can-do spirit to create a positive future. What an inspirational and uplifting podcast. How wonderful is it to learn of gardeners like LaManda who bring incredibly wonderful opportunities to so many people using an unused plot of land, dirt, and plants. Thank you for your work. Amazing how many lives you touch, and how that spreads through families and communities. Thanks too Theresa for another wonderful podcast!